Just a reminder that we have no meeting this Saturday, 17th February, because of mid-term. We have a few more regular meetings in the Den before the St Patrick’s Day weekend, when we will also be off. We’ll be using this time to hone some of our scouting skills, and for the “Newbies” to learn a bit about the history of Scouting and what it all means. After the break on St Patrick’s Weekend, our next meeting will be the overnight hostelling trip, on Saturday 24th March. We’ll have a hike, lots of fun, and on the Sunday morning we will invest the “Newbies” into 8ú Calafort and into the international scouting movement. So now is a good opportunity to start getting the uniform together. The Scout shop in Liffey Street is open all weekend, while the Scout Shop in Bray is open on Saturday morning. You can also have a look at John Higgins’ email earlier this week for items of 2nd hand uniform and gear that we have to pass on. Enjoy the quiet Saturday morning and slán go fóill go dtí an tseachtain seo chugainn! 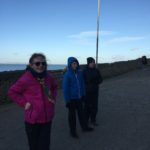 This entry was posted in Banba News on February 16, 2018 by Gráinne O'Carroll. 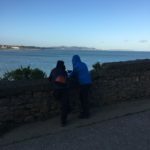 We had a small group who met in Bray – where Leaders, TY Scout Helpers and Parents outnumbered the 11 Cubs (and dog!). We went up and over the top, where we stopped for a sandwich and hot chocolate, en route. 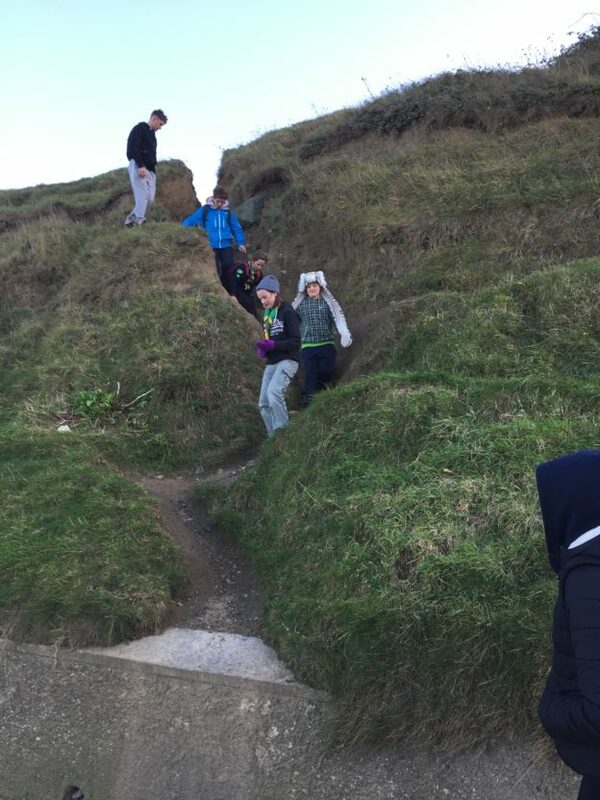 Then we went down again to the Bray Head to Greystones path. And stopped for more hot chocolate back in Bray before all disappearing with our parents. 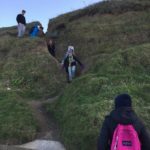 Sat 28th Feb: Killiney Hill – meet at the playground at 11:30. Sat 21st Mar: Overnight in Glendalough Hostel. Car pool. Details to be announced. 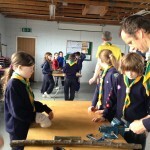 Sun 22nd Mar: Glendalough at 1:00pm: Investiture of new cubs. This is a very significant ceremony for your cub, so it would be nice if the family could attend – all welcome. We’ll also go for a walk after the investiture. Bring a packed lunch. This entry was posted in Banba News on January 14, 2015 by Diarmuid Quinn. this year, for the first time, we are allowed join the scouts for the sailing course being run over two weeks, from 6-12th July and 15-19th July at the den. If your cub is aged over 11 1/2 at that stage, please let us know and we can enroll him/her on the course. This entry was posted in Banba News on May 25, 2013 by Dara Totterdell. 4 May May Bank Holiday! 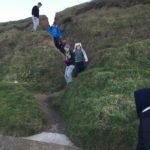 15 June Friday – Sunday Lilliput Weekend camping in West Meath. In many ways the highlight of the year. This entry was posted in Banba News on April 19, 2013 by Diarmuid Quinn. The hike in the dark through the graveyard was very well attended with nearly all of our newbies partaking, and the paper airplane competition afterwards ‘hotted up’ especially well thanks to Alva Larsen’s new landing platform of one of the light fittings!! An early night( ahem..) gave way to an early start the next morning. After breakfast and some housekeeping we were off to Mass in Glendalough Church followed by our investing ceremony held in the visitor’s centre at Glendalough where we mesmerised the staff and other visitors with our beautifully turned out cubs and our sense of pride in the scout flag. The entire troop, together with parents, siblings, dogs and sticks( very important, you know), marched to the Upper Lake to picnic and party and finally headed home with more great memories of a happy bonding trip with friends. This entry was posted in Banba News on April 12, 2013 by Dara Totterdell.